A growing number of councils in the UK now require landlords to hold a licence – even as thousands of applicants were rejected because of paperwork errors in one local authority area. 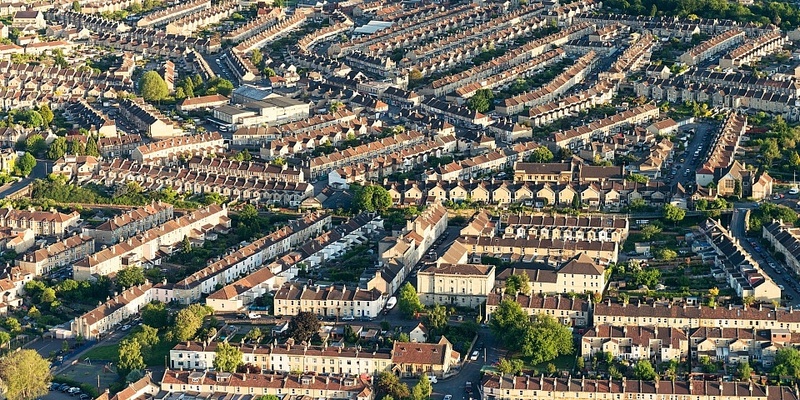 Currently, more than 60 councils in England require landlords to apply for permits to let out their properties, as they attempt to improve housing standards for tenants. Some landlords are finding, however, that the process of getting a licence can be confusing, with property investors in Nottingham the latest to complain of slow processing times and confusing paperwork. Here, we explain the different types of licensing schemes for landlords, and offer advice on whether you need a permit to let out a property in your area. If you’re a buy-to-let landlord and need advice on remortgaging your portfolio, call Which? Mortgage Advisers on 0800 197 8461. A controversial licensing scheme that covers 32,000 rented properties is causing a stir with landlords in Nottingham. The scheme was launched in August, with fees ranging from £480 to £780, depending on whether the landlord is already accredited by the council. To date, however, only 13,450 applications have been submitted, with a remarkable 3,536 rejected by the council due to ‘paperwork errors’ – a figure that’s considerably higher than the 2,457 licences that have been granted. The East Midlands Property Owners Group, which represents 600 landlords, described the council as ‘sinking in paperwork’. In response, Nottingham City Council said there ‘was always going to be a bulge in applications at this stage’ but that the scheme will allow tenants ‘greater protection from bad landlords’. While the Nottingham scheme covers most rented homes in the city, many landlord licensing schemes only apply to some properties. To date, a little over one in five councils in England have brought in some form of permit above the mandatory licensing required by law. Mandatory licensing: if you’re letting out a HMO (house in multiple occupation) in England, you’ll need to have a licence to do so. In October, HMO licensing requirements were extended to include any property occupied by five or more people from two or more households. Additional licensing: additional licensing also applies to investors letting out HMOs. These licences are usually required if local authorities are concerned that HMOs aren’t being properly managed, or that the mandatory licensing doesn’t go far enough. Selective licensing: selective licensing can apply to some or all landlords in a specific area. Local councils can set their own requirements, and these can include a ‘fit and proper person’ test and the necessity to sign up to a charter. Councils can choose how much to charge, but typically you might pay around £500-£600. With schemes popping up around England, you might not be aware of whether you need a licence. The maps below show which councils in England currently operate additional or selective schemes, or are consulting on introducing them. This data was provided to Which? by the Residential Landlords Association. Will my council bring in landlord licensing? As it stands, councils can decide whether or not to bring in a licensing scheme, although this could change next year. The government is currently consulting on how well selective licensing is working, and intends to publish a full report in early 2019. In the meantime, you can search for your local council below to find out whether it is operating or consulting on a scheme. In Scotland, all landlords must sign up to a landlord registration system and obtain a licence, which must be renewed every three years. Fees vary between local councils. Wales has operated a similar system since 2015. All Welsh landlords must register with Rent Smart Wales (Rhentu Doeth Cumru). Licences cost £33.50 and last for five years. Northern Ireland operates its own landlord registration scheme and has a central register of private landlords. It costs £70 (online) or £80 (paper) to apply, and licences are valid for three years. It’s an expensive time to be a landlord, and many investors are now considering the profitability of their portfolios before buying any further homes. With many mortgage products out there for both amateur and professional landlords, refinancing your portfolio could help you cut costs. If you need some advice on your mortgage options, call Which? Mortgage Advisers on 0800 197 8461 or fill in the form below for a free call back.